Anyone who knows me that Being Organized is something that I am NOT. I TRY, but I FAIL, often. Because I know myself and my weaknesses, I am going to enlist the help of my students. The best way to ensure that students take an active role in maintaining the classroom is to assign classroom jobs on a rotating basis. This is a win-win situation. I get assistance and they get the respect that comes with responsibility. Two things that I am determined to use this semester are: classroom managers and inbox envelopes. Classroom managers can help me stay organized and it gives the kids the recognition of feeling needed and being important. 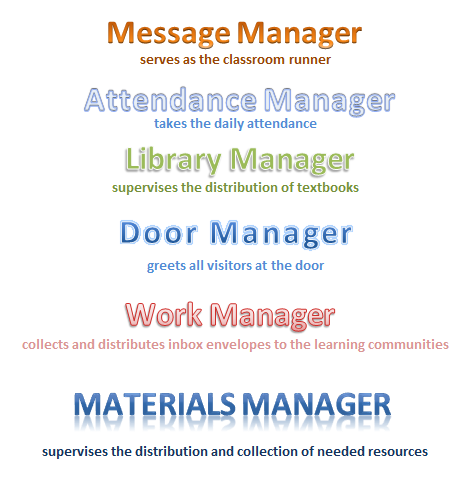 Message Manager serves as the classroom runner. Attendance Manager takes the daily attendance. Library Manager supervises the distribution of textbooks. Door Manager greets all visitors at the door. Materials Manager supervises the distribution and collection of needed resources. 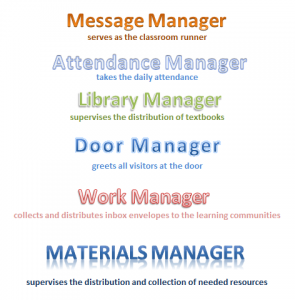 Pocket Manager collects and distributes inbox envelopes to the learning communities. Assignment Blog Manager is responsible for keeping a record of what exactly the class has done every day. If someone was absent they check the blog and easily understand what they need to do to catch up without asking. 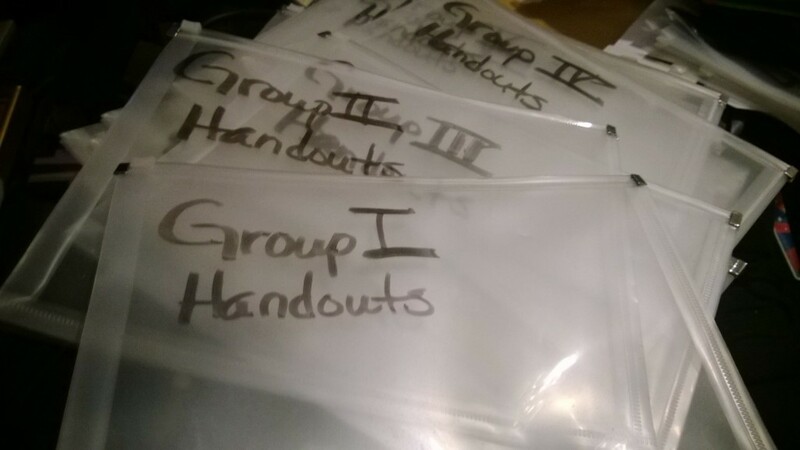 Inbox envelopes hold student work to be collected and distributed. My students are placed into learning communities and each community has its own envelope. The envelopes are placed into a file folder caddy. Each period has its own set of envelopes. This way I do not have to collect and organize 100 assignments that I might collect during the day. 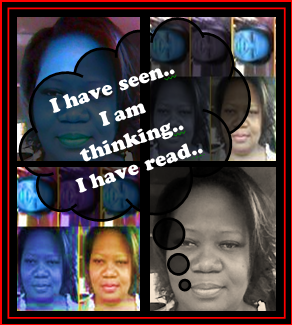 Posted on January 3, 2014 by Ms. B.. This entry was posted in Blogging Challenge, My Class, My Head, My Tips. Bookmark the permalink.